Inspired. From the rippling waves of Casco Bay, the towering pines along the shore of Moosehead Lake, the silver-white slopes of Sugarloaf or the meticulous details of a traditional Victorian on Portland’s West End; Maine has no shortage of inspiring elements to draw from. For centuries tile has always been a classic, elegant and versatile medium to capture whatever inspires you. The knowledgeable and creative team at Old Port Specialty Tile Co. takes pride in providing the best tile shopping experience possible. In the Showroom you will see a large assortment of unique tile choices in ceramic, porcelain, natural stone, glass and metal. Combine the unlimited options with an exceptional design staff and superior customer service, and there is no inspiration that can’t be realized. No project is too big or too small; from initial design to completed job, let Old Port Specialty Tile make your tile dreams come true. We encourage you to visit our showroom to explore the many possibilities that await you. For project specific guidance, please call or e-mail us to schedule an appointment with our talented design & sales staff. 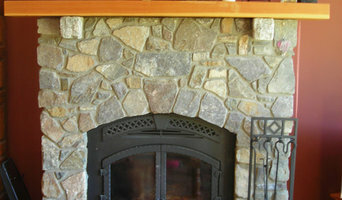 Morningstar Stone and Tile, Maine’s premier countertop fabricator and installer, was founded by Nick Whatley in 1986. In 1990 we opened our stone countertop shop in back of Nick’s house in Topsham. In 2001 we built our present facility in the Topsham Business Park in Topsham Maine, installed state of the art equipment, a new showroom, and a spacious slab warehouse. We have continuously upgraded our capabilities and now employ a fully digital process from template to fabrication. Since then we have installed over 10,000 kitchens and baths and have had numerous customers on their second and third jobs with us. Blue Rock Industries has has evolved into a counter top, tile and flooring company. In Westbrook, Maine, we have our fabrication shop and over 200-400 slabs to see. With locations in Westbrook and Kennebunk, Maine, we are able to service clients from Maine to Massachusetts. Recycled glass concrete products manufacturer based in Maine. Highest recycled content in the industry with an unlimited number of colors. We are a premier contractor of kitchen countertops, bathroom vanity tops as well as other residential and commercial applications. We are a full service countertop shop. 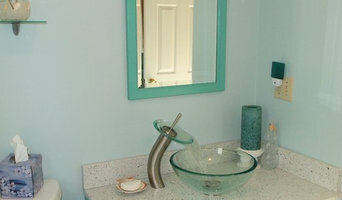 Specializing in granite, quartz and corian.. We also offer Blanco and Serenity sinks and faucets. The K&D Countertops philosophy is as timeless as our products: To provide our customers the highest level of service, the most excellent technical and design assistance, and the best product quality at the most competitive pricing. 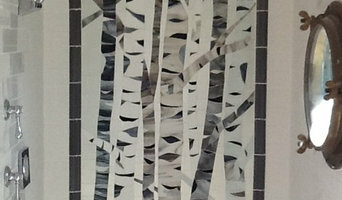 We started Gothic Tile in 1989 with a desire to coordinate tiles and wood. We specialize in sculptured relief tiles as well as all forms of ceramic field tiles. Since that time, we have branched out into custom furniture, pastel painting, and many varieties of combination work. Our tiles, pastels and furniture are available direct from us, and many are carried by custom tile and design retail galleries and stores, including Ann Sacks Tile and many dealers across the country. This website is intended to provide you with an overview of our capabilities in terms of size, shape, color and design, and will allow you and your designer or architect to attain high quality results. Tile has been our full time work since 1978. The right substrate, the right setting materials, the right tile for the application, these are the support pieces for quality tile work. Many tile options and too much information can be overwhelming even though navigating these determines the beauty and longevity of your outcome. We’re here to help because tile is all we do. Our focus at The Tile Shop is to combine an affordable and extensive tile selection with the design help and product knowledge for which we’re known. A noteworthy tile project is a collaborative effort. We invite you to visit our showroom and let us bring our decades of tile experience to that effort. Our goal is to help people use all kinds of tile to beautify their living spaces. We offer all types of tile from nationally-known factories and distributors. Italian tile and beautiful handmade and specialty decorative tile in ceramic, porcelain, stone, and glass. We are always searching for the classics, the new, and the innovative. We encourage kitchen and bath designers, interior designers, architects, builders, and the general public to come into our showroom in Boothbay, Maine. We have a roster of highly experienced and skillful installers and kitchen and bath designers and interior designers. We want you to have “tile that makes you smile.” The comments I hear over and over again when people come in to our shop go something like this: “I have never seen a tile store like this before. You have beautiful unique tiles and such a wonderful and diverse selection.” As a result, we work with people all over the United States on their kitchens, bathrooms and more. Let me know if we can help you with your project. Local. Efficient. Thorough. During my 6 years working with a local tile business, I started as a helper and grew to executing full jobs for my employer. I assisted on everything from small floors and backsplashes to comprehensive tile installations in high end homes. I developed experience with structural support, concrete work, waterproofing, and various types of underlayments. I also worked extensively with tile heating systems and various design elements like niches, shelves, and benches. 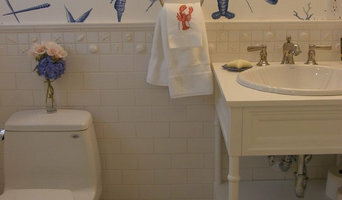 I established Lavender Tile several years ago and cover the greater Midcoast Maine area. Offering free estimates and job specific design help, I cater to everything from emergency repairs to full installations. I can partner with you to develop a plan to tile your space within your budget. I work with all types of tile including ceramic, porcelain, glass, and natural stone. In the spring of 1981 I packed 2 worn canvas totes full of tile, got into my powder blue VW Bug and headed to 61st and 3rd, New York City... I walked into Country Floors and the breathtaking impact of color and pattern... fearless, gorgeous ceramic tile ... on a work table I laid out my ware for Norman Karlson and the brilliant women who were his force... and so began these 36 years of making custom handmade tile for Country Floors. It is now just me and my Mom, Buddy ... she is 89 and indispensable, we have quite a time making the tile. The foundation of my work is called Chinoiserie… The story of three trees; the dogwood, magnolia, and cherry tree, a Jesuit priest who taught Japanese brush painting and a remarkable potter who handed me a rolling pin… We have designed and made tile for homes across the United States and Canada, as well as in England, France, Israel and Japan... Our hope is to add a personal touch to any room: kitchen backsplashes, tub surrounds and shower enclosures, a dining room chair rail, stair risers, fireplaces... a custom touch to a focal point or unique accent for restorations, renovations, or new building projects, residential or commercial. Coastal New Hampshire retail showroom featuring exclusive distributorship of the country's best lines in ceramic, stone and glass. If it involves tile, stone or another countertop material, odds are this pro can tackle the job. With comprehensive knowledge of which surfaces will work best in various locations within the home, Maine tile, stone and countertop contractors can help you select the ideal material for the intended application. Some focus on kitchens and bathrooms, while others handle outdoor projects, such as walkways. In addition to basic surfaces, many Portland, ME tile, stone and countertop contractors can create and install murals and mosaics, as well as add decorative edge treatments to countertops. They also repair or replace surfaces in the event of chips, cracks, stains or other damage. Many tile, stone and countertop professionals also install shower pans, radiant-heat flooring systems and other common components of surfacing jobs, often working in tandem with Portland, ME plumbers or other professionals. Here are some related professionals and vendors to complement the work of tile, stone & countertops: Interior Designers & Decorators, Architects & Building Designers, General Contractors, Kitchen & Bath Designers, Design-Build Firms. Find a tile, stone and countertop contractor on Houzz. Narrow your search in the Professionals section of the website to Portland, ME tile, stone and countertops. You can also look through Portland, ME photos to find tile, stone and countertop projects you like, then contact the contractor who worked on it.